Arches National Park in eastern Utah is one of the most awe-inspiring places on the planet. It contains an immense array of sandstone sculptures, including fins, spires, pinnacles, balanced rocks, and natural arches. The arches range in size from small openings to enormous spans measuring nearly 300 feet across. 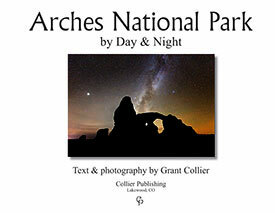 Renowned photographer Grant Collier has photographed the most popular rock formations in Arches National Park, along with many remote and little known natural wonders. He has captured the brilliant display of wildflowers in spring, the blazing color of cottonwoods in autumn, and the remarkable beauty of white snow against red rock in winter. 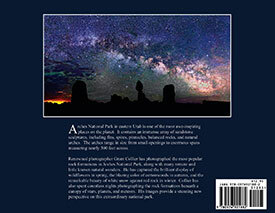 Collier has also spent countless nights photographing the rock formations beneath a canopy of stars, planets, and meteors. 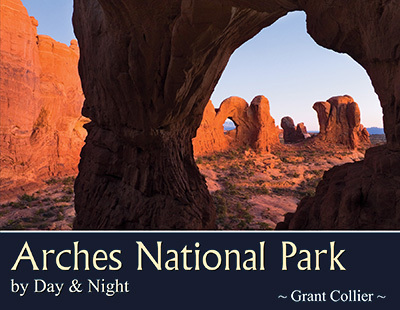 These images, along with text explaining the geology, flora and fauna, and human history of Arches, provide a stunning new perspective on this extraordinary national park.